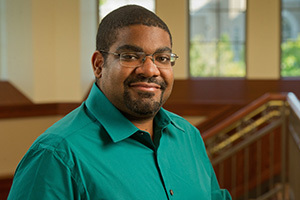 Now, patients suffering from pancreatic cancer may soon face better treatment options due to the latest discovery by Dr. Reginald Hill, Archibald Assistant Professor of Cancer Biology at the University of Notre Dame and researcher at the Harper Cancer Research Institute. Hill’s research focuses on drugs that are already approved by the FDA to find out why those drugs are not working in patients with pancreatic cancer. Previous research has revealed that the majority of pancreatic cancer cases are resistant to chemotherapy and unresponsive to drug treatments found to be effective in other types of cancer. Most new research has focused on destroying supportive cells. However, those studies concluded that when the supportive cells were attacked, patients actually developed more advanced cancer. “It was like poking holes into the area around the cancer cells and allowing it to spread,” he said. Hill focused on blocking the release of exosomes, preventing the relay of information from supporting cells to cancer cells — which increased the efficacy of chemotherapy. This recently published study suggests that using an exosome blocker, which is nontoxic, in combination with standard-of-care chemotherapy will those with pancreatic and many other cancers as well.